JULIA SPENCER-FLEMING: It is a truth universally acknowledged; that historical personages with fascinating lives must be in want of a mystery novel in which to appear. This is certainly true of Annamaria Alfieri. Juan Peron, Eva Duarte, Spanish kings, conquistadoros, 19th century dictators, 17th century nuns have all played their parts in her novels. Now she turns her attention from Latin America to the vast landscape of Colonial Africa in her upcoming book, Strange Gods, the first in a series. Today, she tells us how her fiction was inspired by the real life characters known to us from Out of Africa, West With the Night, and The Flame Trees of Thika. Real people creep into my stories. Because I write historical mysteries, I do a lot of research. And in the process, the characters I read about in the history books fire my imagination and worm their way into the action. The ones who appeal to me most were enigmatic in their real lives. Historians and biographers disagree on what they were really like. Even their own writings do not come across as the whole truth. I take a stab at making them clear by giving them roles to play in the story. My new African series launches in late June with Strange Gods, set in British East Africa in 1911. In it, are two real men, both of them love interests of the great Isak Dinesen (Karen Blixen) of Out of Africa fame. Neither plays a major part in this first book, but they influence both the solving of the mystery and the budding romance between my two main fictional characters. Much has been written about Dinesen’s two men and ten times that total about Karen herself. I have read a lot of it. Still none of the three—not the men, not Dinesen—has emerged from the pages as well drawn enough to satisfy a reader of fiction. Blixen’s husband comes across as the clearer of her two men. Bror Blixen-Finecke, a Swedish Baron, agreed to marry Karen Dinesen, a Dane from a wealthy and important family, who was beyond a woman’s normal marriageable age. Blix, as everyone in Africa called him, was the identical twin brother of Dinesen’s lover. When the first-born twin spurned her, she and Blix decided to become engaged and take her dowry in search of a comfortable life and a bit of adventure. Like many of Europe's impoverished aristocracy, he made his way to British East Africa looking for a way for them to live well without having to put in too much effort. There they found more excitement than lucre, which seemed to suit them both. My fictional Blix, I admit, was based a great deal on Karl Maria Brandauer’s portrayal of him in Sidney Pollack’s film “Out of Africa.” The facts of Blix make him out as a bit of a stick figure—charming, but all adventure seeking and seduction, not the type that excites my fiction-writing juices. In Strange Gods, Blix holds an important piece of information needed in the murder investigation. He will be back in future books. 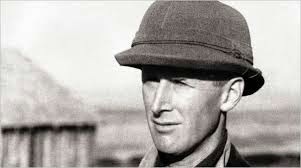 Denys Finch-Hatton, the love of Karen Blixen’s life, is much more my cup of tea. The second son of an Earl, educated at Eton and Oxford, Denys’s biographers and Karen herself present him as complex and perplexing. Pollack chose Robert Redford to play Finch-Hatton and was roundly criticized for not choosing an Englishman, but the director said no one could project an image of elusiveness on the screen like Redford. Tempting as it was to spend my time playing with mental images of Robert Redford, my fictional Denys carries the physical description of the real man. Everyone who wrote or spoke about him described him as magnetic and so he shows up in Strange Gods. Once the real Denys moved to Africa, he developed a very un-colonialist attitude toward the local tribesmen. In my story, the newly-arrived Finch-Hatton takes an intense interest in Vera McIntosh, my imaginary daughter of a Scots missionary, who was born on the outskirts of the burgeoning town of Nairobi and raised with a Kikuyu nanny and tribal playmates. 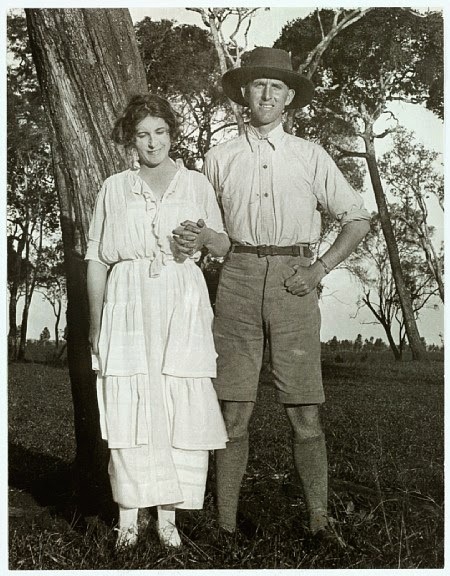 In the time Vera and Denys share, I portray Vera as the source of Finch-Hatton’s sympathetic attitudes toward the African natives. With one foot in the world of the British settlers and the other in the Africa of people who have lived there since the dawn of man, Vera teaches Finch-Hatton how to think generously about the gorgeous land they now both inhabit. The planned series will progress with one book set in each of ten years. When I get to the third and 1913, Karen Dinesen herself will show up. She will be the greatest of my enigmatic historical figures. The more one reads about her, the more mystifying she becomes. I don’t yet know exactly who my fictional Karen will turn out to be, but I look forward to getting to know her. Stay tuned. How about you, dear readers? What historical characters do you think are ripe for inclusion in a novel? Annamaria Alfieri is the author of Strange Gods set in the burgeoning British East African town of Nairobi in 1911. Her South American historical mysteries, Blood Tango, Invisible Country and City of Silver, have garnered critical acclaim from The Christian Science Monitor, Kirkus Reviews and The Washington Post among others. As Patricia King, she authored the short story “Baggage Claim,” in the anthology Queens Noir. She lives in New York City and is a past president of the New York Chapter of Mystery Writers of America. You can find out more about Annamarie and her work at her website, friend her on Facebook, follow her on Twitter as @AnnamariaAlfier and catch her at her blog, Murder is Everywhere. How very intriguing . . . I never realized the complexities an author might face when including real people in a historical novel, especially when the historical facts surrounding the character are not particularly clear. It sounds a bit like a balancing act, keeping true to the historical and, at the same time creating a character for the story . . . what a fascinating combination . . . . I've often thought that historical novels featuring some of the very early U.S. female doctors would be interesting. Because I know some of her history, I suggest Harriet Newell Austin (1826-1891). In addition to being a doctor, she was partner in a large western New York "water cure," an author, lecturer, proponent of the "American Costume" (short skirt over loose fitting pants), and rubbed shoulders with the abolitionists, women's rights and healthful eating advocates of the time. I'n going to play devil's advocate here. I realize that the dead can't sue a writer for defamation or invasion of privacy (although I wonder if their heirs couldn't do so, if a fictional twist cast aspersions on, say, the legitimacy of those heirs or their holdings, or if a dead person whose estate, like Elvis's, was making a bundle of money perhaps lost some because of a portrayal?). Still, there is something about the use of (minor) historical figures-- kings, I think, are fair game-- that strikes me as inherently just, well, wrong. When a writer puts words into real people's mouths-- never mind emotions into their hearts-- that writer may be burnishing people who aren't worthy just as much as he/she may be tarnishing those who are. That said, I'm intrigued enough by history that I love accurate research, but I'm bothered about incorporating it into fiction. I have nothing against a walk-on role, e.g., your protagonist's inspiration, at an early age, from a presidential encounter, or your invented trader who feels guilty for the rest of your book for failing to convince Custer to stay away from Little Big Horn. And I don't quarrel with the roman a clef, where the characters have different names even though they may be clearly recognizable to those in the know as famous people. But to use the names of real people when exploring what you think may be their personalities as evidenced in acts and conversations you have made up just bothers me. I suppose this comes from a belief in which I was raised-- that one never has an open casket at a funeral because one shouldn't view the body of a person who can't look back at you. Use the names and general circumstances of real people in a book where you invent scenes and conversations, and there will be readers who think this is historical truth. And perhaps it is, but your subject can't come back and counter what you have said. My feeling is that what one can do, and what one should, are two different things entirely. I sort of feel that way about that other Boleyn girl, too, although I read-- and was fascinated by-- that book. Perhaps if one did an annotated version of one's book, with notes that explained what was verifiable, what was speculative based on a passing reference or two in the subject's life, and what was totally invented by the writer (Annamaria's post approaches that), I would feel better about this kind of book. I realize this is not where most of you are coming from, and I am not saying that a writer can't do it-- the longer the real person has been dead, the better-- but it has bothered me when Doctorow has done it, and I just feel I need to mention that it makes me uncomfortable. Hi, Annamaria! Can I just say, Blood Tango was one of my favorite books from last year. A murder mystery with Evita set in such a time of political ferment. Brava! You have found a winning formula, and this new one sounds terrific. Welcome Annamaria! So nice to meet a fewwlow NYC writer. I've said this on Jungle Reds before, but I'm fascinated with NYC in the 1950s and 1960s, especially the intellectual world that revolved around New York City Ballet. I'd throw my hat in the ring on that. And I want you to know--I think about this ALL the time. Ever since RAGTIME. Still working on it. But to throw another idea into the pot--I just received a wonderful-looking mystery which stars, as sleuths, Eliza Doolitte and Henry Higgins! Great, huh? Now..why didn't I think of that...grrr. Thank you all for these comments. Joan, though all fiction writing feels like a balancing act to me, I really enjoy it when it come to letting the story evolve from what is mysterious about the real people. Ellen, I understand your concern and in some ways, share it. I am careful not to have my historical characters say or do things that are totally out of character given the facts of what they did and said. I changed the name of the Alcalde of Potosi in 'City of Silver' because my story had him doing things the real man never did, even though I had over 450 intervening years protecting me from a lawsuit! James, strange as it may seem, the European women of British East Africa wore what Dr. Austin called the 'American costume!' You can 'see' it on a couple of my characters. It did not appear in Pollack's movie. Not even Meryl Streep would have looked good in that get-up. SPECIAL thanks to Hallie and Susan, for your kind words and for the invitation to blog here today. Hank, You have an investigative reporter's instincts, which I greatly admire, and so I understand why you would have to wrestle with Ragtime. I loved that book and like Susan, if a story is presented as fiction, I take it as such and while I worry about 'miscasting' real people, when they show up and start walking around in my story, I let them in. In the second in the series, now with my agent, I have somebody else's fictional characters as a big part of the story. I had a lot of fun with them. As to the "American Costume," here's a site with pictures of types of "Rational Dress" Victorian reformers attempted to make available to women. I believe the outfit worn by Lucy Stone in the picture is close to what Jim and Annamaria are describing. 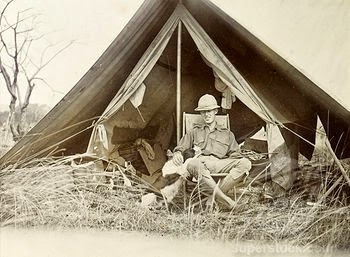 I find this period of Imperial history utterly fascinating, especially the way that places like British East Africa and Rhodesia gave men and women the space to be uniquely themselves at a time when European and British society was so rigidly conformist. It might have helped if I posted that link to Rational Dress, right? Yes, Hank, parts of Ragtime definitely bothered me. Those who have seen the play and not read the book don't realize why. Presenting something as fiction doesn't mean the reader takes it that way. Oh, wait, well, so much for HAnk the writer. I loved Ragtime, read it a million times, cried al the way through it. But Ellen you are reminding me...yeah. If you remember what was it that snagged at your brain?\? A friend of mine has abandoned a project based on the diaries and other information about a Dutch (?) explorer who was searching for the source of the Nile. As part of that project she also wrote about a woman explorer. I wish I could remember her name. But the stories were fascinating -- a combination of luxury travel and real danger in the 19th century. I enjoy well-researched historical fiction--and if the author chooses to include real-life people as characters in a novel--I can immerse myself in the story as a work of fiction. Churchill, for example, shows up in Alan Bradley's Flavia de Luce novels--also enjoy Lindsay Davis' Roman mysteries. But I grew up with the old adages--don't believe everything you hear/read/see on tv--and understand that even the historical record can be subject to distortion, bias, etc. As long as the writing is good, I find historical fiction interesting. As a longtime admirer of the real Isak Dinesen, and her contemporary, Beryl Markham, I'm very drawn to this kind of historical fiction. Their stories are so fascinating, and they were both incredibly brave and bold women, way ahead of their time. Annamaria, I will definitely add your titles to my "must read" list. As to using real figures in historical fiction, the concerns inherent in this type of work are equally present in historical nonfiction. There's no way we can REALLY know, with infallible certainty, the motives and actual actions of historical figures. Even if they were alive to ask, all you need to do to understand why they might not answer honestly is to look at public figures still alive. Do you reckon George Bush will ever tell the truth about why he wanted to invade Iraq? So there is always speculation, whether one is writing fiction or nonfiction. All we can ever do is extrapolate from the facts, supposition, and intuition, regardless. Julia, I am in favor of just about anything that got women out of those dangerous corsets. I wish I had a photo of a woman in the typical dress of the time in Africa. All the ones I saw were in century-old books in the precious collection of the New York Public Library. 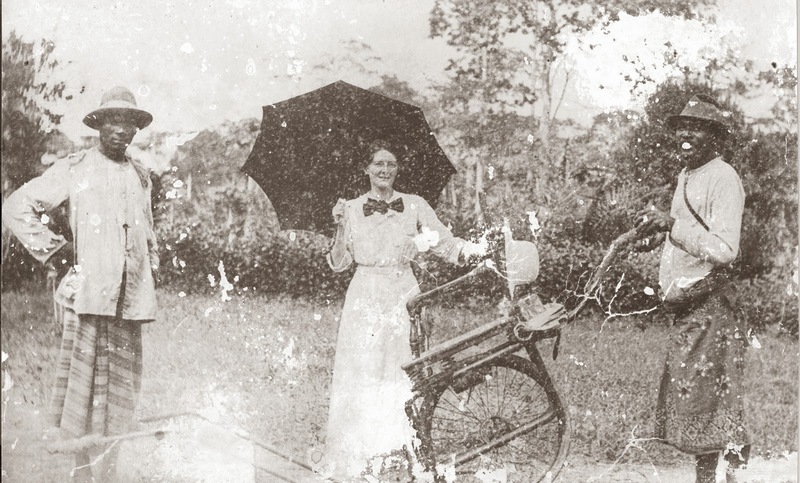 Here is my description of Vera in what women wore in British East Africa: "Vera was coming toward them. She wore what all the women here wore in the daytime—a double terais, a double-thick dark brown felt hat, and gabardine breeches that looked two sizes too big covered by a sort of khaki kilt, a loose tan shirt, and heavy boots. All that cloth was meant to protect them from sunstroke. Tall, statuesque, fair women like Lillian Gresham and Lucy Buxton managed to look vital and strong in such clothing. Vera looked like a lovely girl playing Julia in a local version of Two Gentlemen of Verona, dressing up in boy’s clothing to follow her love. Tolliver could not understand why he would desire such a person. But he did." FChurch, I fell in love with historical fiction at fourteen, a time when studying history in my high school meant memorizing the things like the causes of the Hundred Years' War. UGH! I would never have wanted to know history if it were not for historical novelists. I can hardly believe that I got to become one. Karen in Ohio. RIGHT you are. All one has to do is read what historians say about Evita and read her autobiography to try to find out who she really was and what she thought. Talk about enigmas. Julia, thanks for the link about Rational Dress. Reminds me of Amelia Peabody, and the many discussions of her "costume" in the Elizabeth Peters books. Thank goodness we don't live in those times! Historical mysteries can be so intriguing, and I'm happy to see a real life historical chracter pop in, but in a natural manner. Not simply pasted in, as a form of celebrity sighting. And sometimes I get a kick out of encountering other fictional characters showing up in the story, such as Kipling's Kim in Laurie R King's in The Game, and Peter Wimsey (unidentified) in one of her earlier books. Welcome, Annamaria! I'm looking forward to your new series. I think that an historical novelist using a real person in her work has to be like any novelist using a fictional character from a real culture different from his own. The novelist must do diligent research, not relying on easy (usually false) stereotypes, and try to make her character true to the actual nature of the historical person or the culture that is not the author's own. Oh, Annamaria, I can't WAIT to read this book! I've been fascinated with Isak Dinesen, and with that period in Africa, for years. Susan D, I too find it amusing when I find someone I "know" in a story. I try to put them in a way so that if the reader knows them, they get that extra kick. If not, it won't matter. Linda, you are so right that the historical novelist is dealing with a culture different from her own. I have the double challenge of taking on different cultures but also places that no longer exist. Seeing from afar can give a person a good vantage point from which to understand, but it holds its difficulties too. This is where Joan Emerson's "balancing act" comes in for me. Deborah, what nicer words could a writer read? Write me when you have read it. I would love to hear what a such a kindred spirit thinks about my attempt to go back to there and then. When you write about Darwin, I will the first in line to buy the book! Annamaria, I am already hooked on this new series of yours, as everything about it sounds enigmatically delicious and clever. 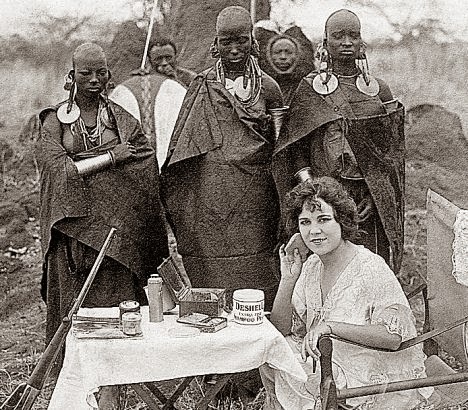 British East Africa is such a treasure trove of intrigue, and Isak Dinesen in her role as a woman there captures the imagination like few others. I enjoy historical fiction so much for the very fact that the author takes a two-dimensional character of biography and creates a three-dimensional character of possibility. While it's true that I like historical fiction steeped in factual research, it is a fascinating journey to imagine what might have been, too. I'd like to see more historical fiction done with Annie Oakley. Any takers? Kathy Reel, Isak/Karen does not show up until Book 3, but I think you will enjoy my getting ready for her. "Treasure trove of intrigue!" What an apt description. The place and time are rife with conflict--between tribes, between the Europeans and the various peoples who were already there, including Arab traders on the coast. And among the Brits themselves--settlers against administrators against the Home Rule people in London. Later on, there will be WWI. So MUCH grist for the mystery writers mill!!! I think Shaka could take another interpretive inclusion in a novel. The history surrounding him is fascinating and important, I think, to not see him simply as a ruthless killer. Stories written about Shaka tend to draw one's attention to violence, but as a secondary character it might be possible to extend something else in his character to add depth to the larger story in the novel. I agree with Linda about writing and including fictional characters from a real culture that is different from the writer's own culture. That's why I would like to see a new Shaka character in a story more understanding of Zulu history. His story might go down better as a secondary character... still not sure I'm putting this thought out the way I intend! Reine, I don't know much about Shaka, except what has already filtered into popular culture. I have a certain amount of sympathy for the anger of African tribesmen over the takeovers of the territory. But I don't think I could ever truly see the issues from the point of view of the men who turned to such violence. As Jane Austen said, "Let other pens dwell on guilt and misery..." I write about murder, but I don't think I could write about mass murder. Not that no one should. You are probably right that he deserves more depth of understanding. It just couldn't be me who writes that. That's a great response, Annamaria. I could never write about him, either, but I'd like to see it done well by someone who has the insight and cultural history. Thank you, Thelma. So happy to see you here, supporting your home-town girl! Annamaria -- the explorers my friend was writing about are the German GUSTAV NACHTIGAL (1834 -- 1885) and the Dutch ALEXANDRINE TINNE (1835 -- 1869). Their stories intersect, and are both incredible. I just popped over to Annamaria's website, and from there to the book trailer for Blood Tango. Love it! Denise Ann, Thank you for these names. I am sure there is blog in this, AT THE VERY LEAST. Susan D, I am so glad you found Blood Tango on YouTube. My brilliant daughter--a dancer--was the director of that and I just love the way the choreography mirrors the relationship between Peron and Evita as I presented it in the book. Great post, Annamaria! I don't read historical fiction, but I love to read it, especially for the way authors integrated real-life characters into the story lines. That just seems fun to me. "...no one could project an image of elusiveness on the screen like Redford." Good grief, Pollack, you can't be serious--all due respect to Robert Redford. BTW, I thought he was terribly miscast in out of Africa. Do you spend time in East Africa, Annamaria? Lisa, How nice to see you here. I read all kinds of fiction, but now that I have started to write historical novels, I can't seem to think about writing any other kind. I get ideas for contemporary stories, but my mind will not latch onto them. Kwei, you are not alone in your opinion of that casting. I fully understand the objection, but I love that film. Just love it. I have spent time in Tanzania and other countries farther south--South Africa, Botswana, Namibia, and Zambia. I am hoping to go to Kenya for the first time this coming August. My Africa infatuation reaches critical mass just thinking about it. FINGERS CROSSED that I will be able to go. As someone who is lucky enough to have already read STRANGE GODS and who is in the process of writing a critical essay about it, I hope I am going to be able to show that you carve out a rather unique space for them to occupy so that while historical accuracy counts for a great deal, ambiguity adds depth the facts alone cannot convey. It is ambiguity that creates literature, and as you know, I aa huge supporter of the idea that really good mysteries are novels in which someone commits a crime and investigation ensues. Yes, Dostoevsky was a crime writer! As was Dickens! And others. If their characters really existed in historical space, the effect on readers would be the same. In your case, you do not commit yourself to one view of them RATHER than another, and you draw on what some of the replies to this blog refer to as the enigmatical quality of the figures you write about. I have read all of your books and would say that the "real" characters you write about were in their own lives already literary characters. Barbara, thank you for your kind words. The more I research history in general and the people in it in particular, the more I learn, as you so rightly put it, that in their own lives they were already literary characters. That came across clearly with my research into Eliza Lynch in Paraguay in 1868 and like gangbusters with Evita in Buenos Aires in 1945. They are both women who remade themselves from what they were born to be into the larger than life (and ambiguous!) women they eventually became. In fact, it now occurs to me that many of my "real people" are like that. Their own personal journeys took them to a place completely different than the one they inhabited at birth. "Oh, Kaye!" Chiming in on "What We're Writing"
Michael Sears: "No Such Thing as a Bad Nap"
I Need A Hero...with a special Longmire Giveaway! "Oh, Kaye!" Goes to Malice!